Annuity has been tested with browsers IE9, IE10, IE11, Firefox, Safari, Opera, Chrome, Edge. 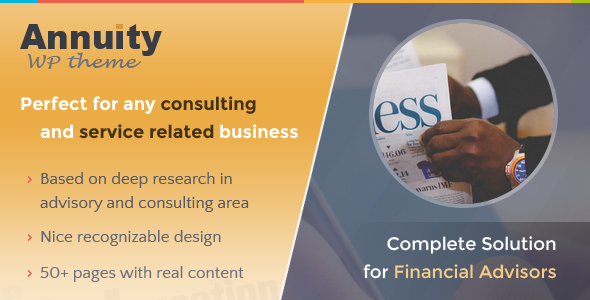 Theme Annuity - Financial Advisory & Consulting Theme has the following features: Ideal solution for consulting firms, Perfect for any service related business, Demo with real content. Easy setup!